Date of birth October 29, October 1964! Muay Thai -Muay Boran -kick Boxing -Kung Fu. Pioneer of MuayThai Boran & Kick Boxing in Greece. Founder of the Hellenic Muay Thai & kick Boxing Federation in 1998 and elected as President(1997- to date). Commissioner of the World Muay Boran Federation (WMBF) for the Greece. Founded the General Tienchai Sirisumpan World Muay Thai Boran Academy & Royal Body Guard Academy and was elected as a President. Vangelis Xanthakis is one of the best and most famous martial artists of Greece and even the Asian world. He possesses a long list of awards and his achievements are too many to recount. In the Greece, Vangelis Xanthakis is regarded as the pioneer of combat sports. He founded the Hellenic Muay Thai Kick Boxing Federation and the Panathinea Muay Thai Association/General Tienchai Academy. For both of these institutions, he served as the President & General Secretary. Not being satisfied with just his home country, Vangelis Xanthakis also sought to promote martial arts in the other countries of the African and European world. He is also the founder of General Tienchai Academy. He serves as the official representative in the Greece & Tunisia for the Amarit Organization. 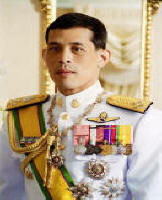 In 2007 he has been awarded the rank of 14th Khan (Master of MuayThai) by the Institute of Thai martial arts, (A.I.T.M.A. of Muay Thai Teachers) & Kru Muay Association of Thailand. 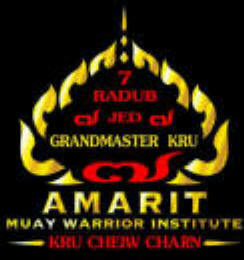 Amarit Muay Warrior Institute him to use the title of Grand Master. Grand Master Xanthakis Vangelis (born 1964) is a Master teacher who has devoted his whole life to the Art and Practice of MuayThai & Kung Fu. Unlike many other martial art masters in modern times who have long since retired, Grand Master Xanthakis Vangelis continues to teach his multitude of students, every day. He is also the link between the Masters of old and modern times. He is the last of the great martial art masters. A significant part of his philosophy includes the practice of humility. Grand Master Xanthakis Vangelis teaches that, “hard work is the foundation of MuayThai and of life. But hard work alone will not accomplish everything; and alone, it will not earn the respect of your students. It must be accompanied by humility. Humility is the willingness to help those who need it, and the modesty to not flaunt our own abilities. Humility breeds respect. We must always remember this”. Grand Master Xanthakis Vangelis world headquarters is located in Vironas City (Greece). Grand Master Xanthakis Vangelis says, ‘When you come into class from the busyness of your life, you forget everything. There no time for distraction, no choice but to concentrate so you can catch the constantly changing movements.’ But if the practice stays on a purely physical or mental level, it will not transform you. Muay Thai is a lifestyle. Honesty, respect, and self-control mark a truly discipline martial artist. Grand Master Xanthakis Vangelis is a living model of these truths. His humility inspires. Honorary Director of MuayThai section (Czech Board of Fighting Sports and Martial Council) C.R.B.S.B.U. Assisted in the invitiation and establishment of the Europe, Muay Thai Federations. Invited as an expert to organize a number of training ,management seminars and championships in Greece and Europe. Acted as an advisor to a number of high ranked officials in Greece and was assigned for a considerable number of years to date to develop the capacities and skills of special tactical units in the Police & Army and the Internal Security Forces. 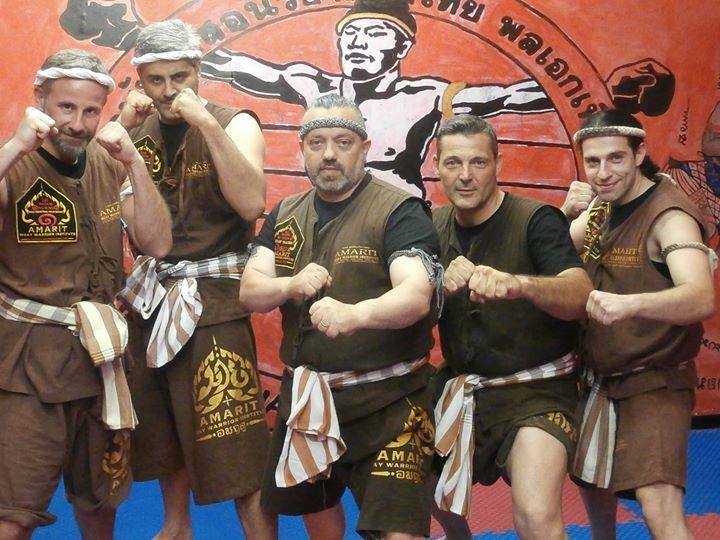 Owner of Asian Martial Arts sports club considered as the house of Kung Fu & Kick Boxing and Muay Thai in Greece. *Assisted in the invitation and establishment of the Europe, Muay Thai Federations. *Invited as an expert to organize a number of training, management seminars and championships in Greece and Europe. *Acted as an advisor to a number of high ranked officials in Greece and was assigned for a considerable number of years to date to develop the capacities and skills of special tactical units in the Police & Army and the Internal Security Forces. *Owner of Asian Martial Arts sports club considered as the house of Kung Fu & Kick Boxing and Muay Thai in Greece. Official representative for Switzerland from the World organization of self-defense and protection. · Kung Fu ,Wing Chun, Jun Fan Jeet Kune Do, Arnis Escrima- Traditional MuayThai Boran ,Boxing, Kick-boxing, Sikaran, Kali, Krabbi Krabong, Penchak Silat, Taekwondo. • By the president of A.M.A.T. • By the president of W.M.T.C. • I have the exclusive use of the name of General Tienchai Sirisumpan for Muay Thai Academy, father of modern Muay Thai and Founder (Rangers) of Royal Thai Army Special Forces. •My certificate (Grand Master Kru of Muay Thai Muay Boran 2015) is signed by Borromakrou Deycha Nitayaros(Director of Physical Education) "AMARIT MUAY WARRIOR INSTITUTE OF THAILAND"
• 12 European Muay Championships IAMTF/IMTF/WMF/EMC/EMCMUAY/IFMA. • I participated to all International Congresses concerning Muay Thai 1995-2016. • I participated to all European Congresses concerning Muay Thai 1995-2016. · W.M.F the unique Official Worldwide Federation of Muay Thai. Contradiction with the official representative of Tourism of Thailand in Greece. 1 Cup of Muay Thai of Central Greece, 1 Cup of Muay Thai of North Greece and over 1000 collective games. • I organized the 1st Worldwide Championship of Muay Thai Friendship I.A.M.T.F.in Athens participating 27 countries. • I organized 15 Summer Camp at Limnos, Crete, Samos, Naxos, Serifos and Kos islands with the main aim to promote Thailand’s culture. • I organized numerous Muay Thai and Martial Arts seminars with Thai & China Grand Masters in Greece 1985-2016. • Infinity times I presented and been interviewed by several national and private T.V channels in order to promote Thailand and Muay Thai. • Many consecrations had been written at several magazines and I personally wrote articles as journalist for the promotion of Thailand. • I am the sole who had been truly interested (with my personal job and personal money) and I published interviews of the Formers’ Ambassadors. • My piece of work is certainly huge and essential. The awards I have been taken by the Minister of Culture and from the Government, certify my very hard job. • I organized educational Muay Thai, Thai Massage &Training to Greece 1990-2016. • There is none Greek person like me that has been offered so many things during these years, with his personal expenses and time for the promotion of Thailand. Traditional Training method Massage from Vietnam, Turkey, Laos, India, Cambodia, China. I have received training abroad with a 100% percentage of success regarding: escorting golden children, VIP escorting, concert security (perimeter guarding & hallway organization), Terrorist activity, explosive devices, crowd control, and vehicle control, hallway organization in embassies and multinational companies, banks. I was trainer for Greek Special Armed Forces. I have also received special first aid training. I am a member of the Hellenic Target practice union. 32.Solomon Burke,Nicola Conte,Yasmin Levy,Sophie Dellila,The Burger Project,Orishas,Bajofondo,Tinariwen,DubInc. 37.Bon Jovi,38.Fly Beeyond Festival,39.Mastodon,Mydying Bride,Dirt Spawn,Disease,Heven and Hell,DreamTheater,Iced Earth,Anathema,Kinetic. Certified First Class Category trainer of Muay Thai by the Tienchai Academy within the Ministry of Youth and Sports. Trainer of the Greek National Thai Boxing team ( 1995-to date ). Grand Master Kru Xanthakis Vangelis. Has been training in Martial Arts Kung -FU & after Traditional Muay Thai since Martial Arts 1973. Closed door student of Grand Master Chinawuth Sirisompan (Master Woody) and Grand Master Pajon Muangson, and after many Grand Masters from Thailand teach . Official Goverment Organization A.I.T.M.A Grand Master Phosawat & Grand Master Channarong in Thailand. are now present in many countries in the World. held in Bangkok National Stadium. Thai Champions and 18 European Champions. 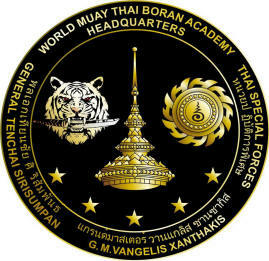 Vangelis Xanthakis , known to his students as Grand Master (V) Kru 18 th Radub), is the founder and Chairman of the General Tienchai Sirisumpan World MuayThai Boran Academy of the Greece. 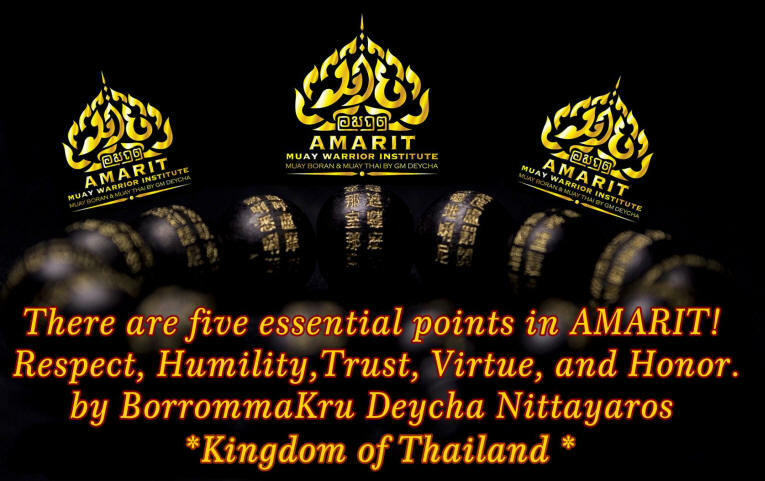 Grade and be recognized through one of the leading Amarit Muay Warrior Institute of the World. Grading systems for beginners to Radub Grades "AMARIT MUAY WARRIOR INSTITUTE""
The path to becoming a Master of Muay Thai is not as straightforward as one may think! For there is no easy route one can follow in this Endeavour. Not even for those who have had the most experience, or even the greatest Champions of the Boxing Ring! The reasons for this are many and varied, but basically we can say that even the best of even the Greatest Champions is not guaranteed to be able to teach what he knows or pass on that invaluable knowledge. Likewise, someone who is a good Teacher in many aspects of the Art may not be able to instill in his Students the ability to become a Champion of the Ring. A Master or even Grand Master of Muay Thai needs to have all these qualities in 1 person, himself, and have many more! In fact, we can say that he must be the embodiment of the Art and live it every day! Some of the qualities he should have are - a full understanding of the History, Traditions and Techniques of Muay Thai & be able to communicate it to all levels of Students. He should be of good character & have respect for himself, others and all of life. He should be willing to totally commit himself to the Endeavour of becoming a Master of this Martial Art no matter how long it may take. He should also show the same commitment to his Students! Even if a Teacher has most of the previously mentioned qualities - the experience, skills & knowledge of Muay Thai, or the commitment, this will not necessarily guarantee him of the accolade of Master. For there is 1 last hurdle he must clear, he will require the acceptance & acknowledgement of his abilities from his peers (other Masters). Unlike as in some other Martial Arts over the last few years, where people have reached a certain Level and then Granted themselves dubious Titles, Tradition still plays a very important role in Muay Thai and the candidates for this Title must have the full backing of a Committee of the current Masters as well as Representatives of the Department of Physical Education, Thailand.